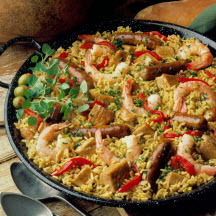 CooksRecipes has quality, kitchen-tested recipes for a variety of sausage and rice dishes that you can count on for successful deliciousness. 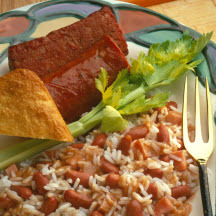 Beans and rice spell supper in many different languages, and when paired with a grilled smoked sausage, the dish becomes sublime. Kissed with saffron, and enlivened with pimiento and green peas, this one-dish meal makes enough for a crowd. 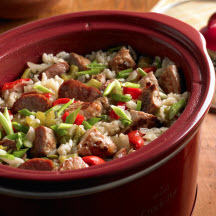 This recipe using the slow-cooker method makes jambalaya without the fuss. Recipe courtesy of Chef Hosea Rosenberg.